Nigeria’s greatest music awards, The Headies, might not be holding in 2017. The award ceremony which has been in running for 11 years, appears to be a no-show this year, and if this happens, it will mark the first time ever, that the awards will not be holding. The Headies was founded in 2006, by the Hip Hop World Magazine of Nigeria to recognize outstanding work in the Nigerian music industry. The annual ceremony features performances by established and promising artists, and it is broadcast live on HipTV to television viewers across Nigeria. At the first ever edition of the Headies which held in 2006, D'banj raised eyebrows when he gave a performance with only a towel rapped around his groin. The 2006 and 2007 editions of The Headies were held at the Muson Center in Onikan, Lagos State. From 2010 through 2012, The Headies were held at the Eko Hotel and Suites in Victoria Island, Lagos. Several media personalities in Nigeria have hosted the annual ceremony, including Darey Art Alade, D'banj, Dakore Egbuson, Banky W., Rita Dominic, M.I, Tiwa Savage and Dr SID. The 2015 edition, which held on January 1, 2016, was famous for its celebrity clashes. They involved Don Jazzy and Olamide going head to head, after Mavin Record’s Reekado Banks, won the ‘Next Rated’ award over the more popularly acclaimed YBNL rapper, Lil Kesh. The category honours the most promising musician during the year in review, comes with a brand new ride for the winner. In 2013, Burna Boy angrily stormed out of the event after losing out to Sean Tizzle. The 2016 edition was held at the Eko Convention Centre in Victoria Island, Lagos. The event was hosted by Adesua Etomi and Falz. Controversies surrounding the nomination of some artists in the next rated category caused the organizers to disqualify Tekno Miles. Others absent included the Mavins and YBNL Nation. Wizkid graced the occasion alongside other top Nigerian celebrities. But there are doubts over the awards holding this year. It's almost the final quarter of the year, and there has been no word yet from the organisers. An email sent by Pulse to Ayo Animashaun, the Executive Producer of the awards, have received no response. The nomination list for 2017 isn’t out, neither has there been any teasers or campaigns for the event. A source who works at HipTV told Pulse on condition of anonymity, that no word has been shared in-house about the event, with staff left in the dark about the awards. “Nobody has heard anything, at the moment they have not told me about it.” our source says. 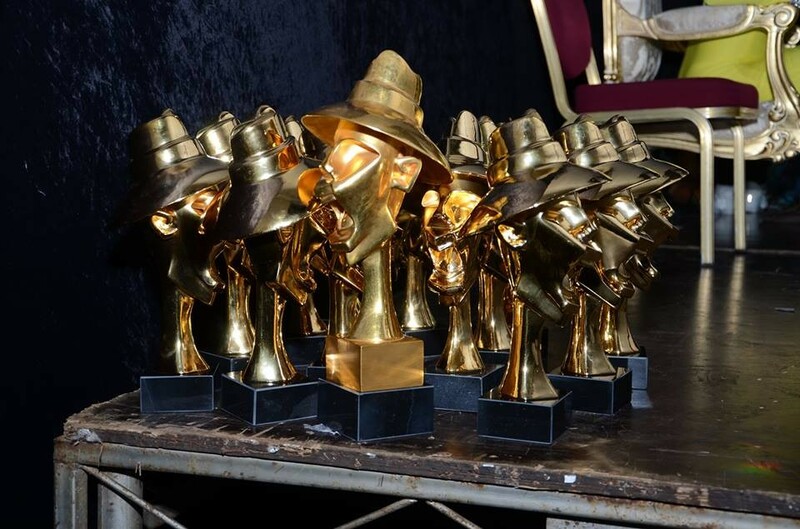 Last minute shows and postponements of The Headies are not new. In 2007, the second edition of the awards was held on March 17, the first quarter of the year. But over time the event has slowly slid through the year, moving from the first quarter to the second, and through the third. The 2009 and 2010 shows were held in the month of May, 2011 and 2012 were in October, 2013 and 2014 came in December, while 2015, was moved out of the calendar year for the first time in its history, and into the first day of 2016. The two past editions have also been postponed from earlier announced dates by the organisers, although the shows later held at the new dates. The Headies situation comes in a time when local award shows are experiencing difficulties in organisation, planning and sponsorship. The 2016 edition of the Nigeria Entertainment Awards, (NEA) was filled with reports of shoddy organisation, and the inability of the organisers to meet requirements of the hosts and certain performers. Another popular Nigerian award ceremony, Nigeria Music Video Awards (NMVA), failed to hold in 2015, and only just released a list of winners without a ceremony. They have not held another edition since then. Sources say this was caused by a lack of sponsorship. This year, the Nigerian economy just came out of a biting recession, which had corporate firms struggling to survive high inflation rates, unsteady foreign exchange market, and an unavailability of new business due to a lack of funds from investors. Pulse called Hip TV director, Ayobami, who revealed to Pulse that although there are plans in place to hold and a commitee is already set up, the event might not hold in 2017. "The event might not hold before the end of the year (2017), but we are working on it," he said. Olamide led the YBNL boys (Adekunle Gold and Lil Kesh) to victory in 2015, although he later clashed with Don Jazzy over the Next Rated Awards. Has th Headies also been affected by this? Has the recovering state of the Nigerian economy affected what has become one of the symbols of the Nigerian music industry? The Headies awards is important for the music industry because it is the most credible yardstick for measuring achievements in Nigeria. 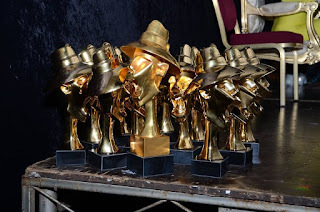 While many Nigerian awards are marred with reports of irregularity and favouritism, the Headies holds the fort as a shining light, rewarding based on merit. The absence of the Headies leaves a big hole in the music industry. The lack of a ceremony for a year means that artists who have successfully dominated the music scene for the year in review, would not be rewarded and celebrated by the prestigious platform in the country.